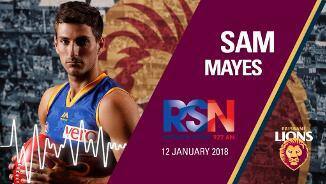 Sam Mayes has been traded to Port Adelaide. Our verdict on Lewy Taylor, Sam Mayes and Zac Bailey's seasons. To say it hasn't been an easy journey for Sam Mayes would be an understatement. Since being drafted to the Lions with their first round selection at the 2012 AFL National Draft, Sam Mayes has looked comfortable at senior AFL level. He's a skilful half-forward/wingman who played senior football with North Adelaide in the SANFL as an 18-year-old and made an immediate impact in his debut year with the Lions. • Sam Mayes was a quality junior who first caught the attention of AFL recruiters playing as a lead-up forward. He represented South Australia as an underage player in 2011, and went on to earn U18 All Australian honours. • But a move to the midfield during the 2012 U18 Championships saw him rocket up the draft ratings, with Mayes earning All Australian honours for the second consecutive season. • He also impressed while playing in the senior ranks with North Adelaide. 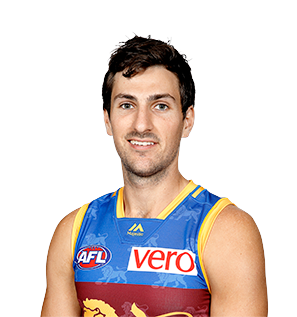 • He was always on the Lions' radar, and ultimately landed in Brisbane with the Club's first round selection (Pick No.8 overall) at the 2012 AFL National Draft. • Upon being drafted to the Lions, National Talent Manager Rob Kerr said: "We feel he is a forward who is developing into a midfielder. He will probably learn his footy up forward, but we expect him to eventually go into the midfield. He's a very clever player, spreads well, reads the game very well. We hope he can be one of those players who can play forward and mid." • Sam Mayes built upon a strong pre-season to nail down a spot on the half-back flank. • In a career-best Season, Mayes averaged a total of 17.7 disposals, 6.3 handballs and 11.4 kicks per game. • Mayes’ best game came in Round 14 against Richmond, where he finished with 27 disposals, with a disposal efficiency of 80%, while also gaining a team high of 500 meters. • He re-signed midway through the Season, making him a Lion until at least the end of 2019. • Sam Mayes spent time playing off half back and on the wing in the Lions’ line-up in 2015, a season in which he notched up his 50th game for the Club. • A stress reaction in his foot caused Mayes to be sidelined early in the season, and patches of inconsistency in form forced him back to the NEAFL. • Mayes’ best game came in Round 20 against Carlton, where he gathered 20 disposals and kicked two goals and again in Round 17 against North Melbourne, where he recorded 21 possessions and four tackles. • Despite losing five players under the age of 21, who all departed sighting homesickness, Sam Mayes was excited to stay on for another season at the Lions. • Starting the season up forward, Mayes had a standout performance against Geelong in Round 2 where he kicked 4 goals. • Mayes continued to show his versatility moving from half forward to the backline after Rich was struck with an injury. • Despite the move, Mayes played 21 games and was able to reach 20 or more possessions on seven separate occasions. 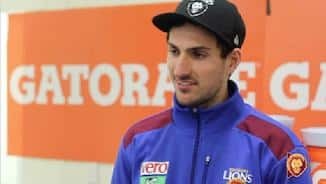 • A minor groin complaint meant Mayes was carefully managed throughout the latter stages of his first pre-season, with the Lions reluctant to expose him in any NAB Cup matches. • He lined up for the Lions Reserves in Round 1 of the NEAFL season, and immediately impressed with his game sense and neat disposal. He was named as a senior emergency a week later, before being named to make his senior debut in QClash 5 against the Gold Coast in Round 3. • Mayes made an immediate impact at senior level, collecting 21 disposals and taking a game-high 10 marks in the Lions' narrow win. • He went on to play in the next seven senior matches - racking up a career best 28 touches in Round 5 against Melbourne - before he was afforded a well-deserved rest in Round 10 before the team's Bye. • A two-week break was just the tonic for Mayes, who returned in Round 12 with a 25-disposal effort against eventual Grand Finalists Fremantle in Perth. 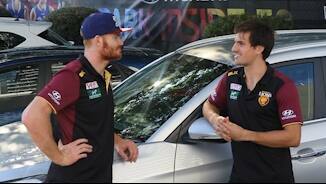 Although the Lions lost the match, his performance was recognised with an AFL Rising Star Nomination. • He was omitted again in Round 14, before starring in the final two months of the season - averaging 17 disposals and booting 12 goals – four of which came in a stunning first half against the GWS Giants in Round 21 - in the final nine matches of the season. • It proved an impressive debut season from Mayes, who not only played 18 senior matches, but also took home the Club's Rookie of the Year award and claimed a top 10 finish in the Merrett-Murray Medal.